What Is Cap Rate and Why Is It Used to Value Investment Properties? Cap rate is one of those things you hear about all the time in the marketplace, but many people don’t know exactly what it means. What is cap rate? It refers to the capitalization rate and is the net operating income divided by the cost. It’s expressed as a percentage. For example, a six-unit apartment building that has a net operating income of $30,065 and costs $390,000 would have a 7.7 percent capitalization rate. But what does that mean? This post explores the definition of cap rate, why some people use it to value investment real estate, and whether it’s the best way to determine the value of a rental property. So, what is cap rate? There are a few different ways of thinking about it. Let’s continue with the six-unit example given above. One way of looking at cap rate is that this property is producing 7.7 percent of its cost in net operating income. Cap rates can be useful when comparing two or more properties. Once you know the capitalization rate of each property, you can judge which one is producing the highest percentage of net operating income (NOI). Another way to think about cap rate is that it’s a measure of how strong the property is. If there were such a thing as an investment property strength meter, this property would register a reading of 7.7 percent. How does capitalization rate rank among other valuation methods? When comparing different real estate valuation methods, keep in mind that an investment property is like a money machine. It has three main parts: income, expenses, and financing. The value of that money machine is determined by how these three parts interact. So, doesn’t it seem logical that the most effective method of valuing a rental property would take into consideration all three parts? Cap rate takes into account both income and expenses, because it utilizes the net operating income. But here’s a key point: It does not take into account the financing. This is because the capitalization rate is based on the net operating income, which is what we have before the debt service is paid. Cap rate assumes you pay cash. Enroll in Real Estate Investing: Beyond the Basics to learn about other, more reliable ways to determine the investment value—and optimal price—of a rental property. What if you can’t pay cash? Can you still use cap rate? Do you know who uses cap rates the most? The big guys: the insurance companies and pension funds, because they most often pay all cash. But even if you can’t pay cash, you can still use cap rate to help you decide whether or not a property is a good investment. One way to use capitalization rate is to compare it to the cost of the money. The greater the strength of the property is above the strength of the loan, the better. Here’s how it works: In our six-unit example, we know the cap rate is 7.7 percent. So this property is 7.7 percent on the strength meter. If we had a $306,000 loan at 7 percent interest, the loan would register a strength reading of 7 percent on the meter. So in this case, the property would be stronger than the loan. On the other hand, what if the available financing is at a rate higher than the capitalization rate? Then the loan would be stronger than the property. In that case, watch out! You could borrow too much money and sink the ship. In many cases, the financing can spell the difference between a property performing well or going down the drain. Be extra careful if the financing involves an adjustable rate mortgage (ARM). The initial interest rate might be okay, but what if interest rates rise and suddenly the income from your property can’t service the debt? You could be the best property owner in America and still get wiped out because of the interest rates over which you have no control. 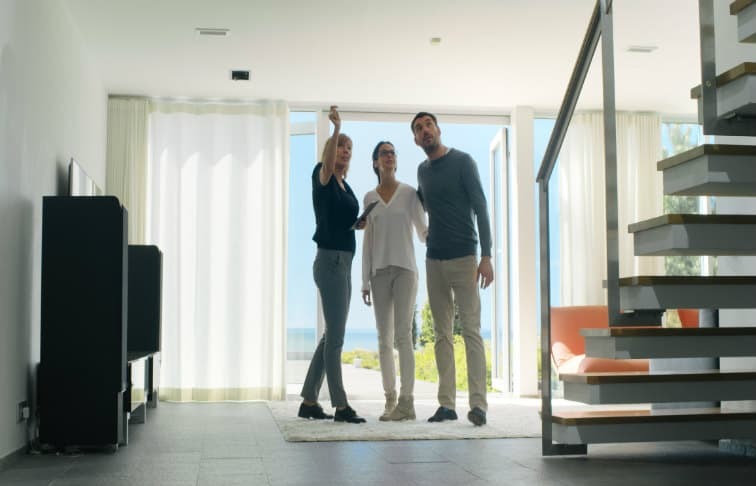 If you’re thinking about buying an investment property with an ARM, it probably makes the most sense to do your calculations using the highest possible rate to which the loan could adjust. Many people will not buy a rental property with adjustable rate financing because they feel they don’t have control of the investment. They’re too much at the mercy of the financing market. The same holds true if you’re getting short-term financing such as a loan with a balloon payment. Sometimes people say they’ll just refinance the balloon when it comes due, but the big question is: “At what rate?” Because of market conditions, you could be forced to refinance at a higher rate which could be devastating. As with an ARM, you really are not in control if you’re financing your properties with loans that balloon. Ideally, when estimating the investment value of a rental property, you want to take into account all three parts of the money machine: income, expenses, and financing. Cap rate can help you determine the strength of an investment property compared to the loan you would need to purchase it. But it’s certainly not the only option for calculating investment value. There are a variety of other valuation methods you can use. But remember, don’t ignore the financing. It can make all the difference between a property doing well or sinking. Enroll in our sister school’s course: Real Estate Investing: Beyond the Basics to learn about other, more reliable ways to determine the investment value—and optimal price—of a rental property. Tom Lundstedt, CCIM, is known as the funniest investment and tax guy in America. His programs for REALTORS® have entertained and enlightened thousands of audiences from sea to shining sea. He’s a former Major League Baseball player whose striking combination of humor and real-world examples makes powerful subjects spring to life. He’s the author of a series of audio CDs and Study Guides on the subjects of investment real estate and taxation. Visit his website at www.tomlundstedt.com.